For over 60 years, Charleston Heating Co. has been Charleston, West Virginia’s, number one local heating and cooling service company. 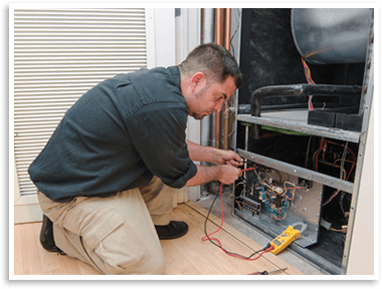 We have the experts and equipment to install, service, and maintain your heating and cooling systems in Charleston, WV. We provide our services to residential and commercial areas in Charleston and the surrounding areas of West Virginia. The best part is, when you call Charleston Heating Co., you are getting the best price. We offer flat rate pricing, which means you are paying for the job, not by the hour. Call us today, so you can sleep comfortably tonight at (304) 744-6353 or contact us online. 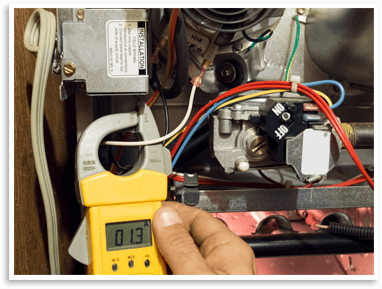 Our service technicians are factory trained and licensed by the state to inspect, troubleshoot, and repair problems that may arise in your heating and cooling system. Our training is constantly being updated to keep up with the new technological systems being introduced. 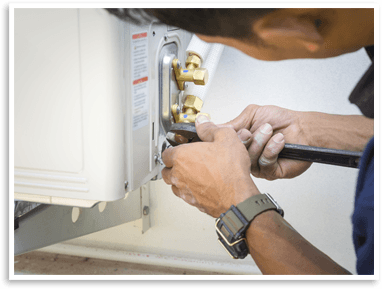 Charleston Heating Co.’s technicians are able to install and repair all types of makes and models of cooling and heating systems. Our trucks are stocked with equipment that will allow us to fix and clean your system. If you are in the market for a new heater or air conditioner, we offer some of the best brands around. For nearly 100 years, this is the only manufacturer in North America that sells heating, cooling, water heating, pool/spa heating, and commercial refrigeration products. It helps families enjoy the comforts of home with cool temperatures in the summer, warm temperatures in the winters, and hot water all year-round. This United States made and manufactured brand is reliable. It provides high-quality and affordable comfort indoors. The brand is ISO 9001-certified and ISO 14001-certified for quality manufactured and management processes and international environmental certifications. This brand is innovative and reliable. It provides you with heating and cooling systems that provide efficient and intelligent results. Become optimized and connected to your environment with a heating and cooling system from York.